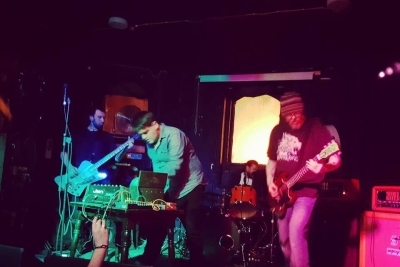 An instrumental band from Stoke, formed in 2007, who combine a heavy Sludge/Stoner sound with spacy electronic/guitar effects and a certain amount of Psychedelic improvisation. Somewhere between Herscher and Clouds Taste Satanic in approach, but with a distinctive sound of their own. Arcanum 2017 HeviSike Records 12"
Interview with Space Witch (2017-04-03).